Unfortunately, I managed to drain the battery of my camera, so I was reliant upon my mom’s camera and my cell phone. I hope you enjoy this jumble of not-so-great quality pictures :). I decided to wear my Eliza Parker dress again (worn here) and tried it out with some of the suggestions you all gave, such as “don’t cover the neckline” and wearing it with a thin belt. I went with the bright color and added on a coral-pink belt and simple stud earrings (not pictured). I didn’t want to overwhelm my small town, so I pretty much kept it to that. 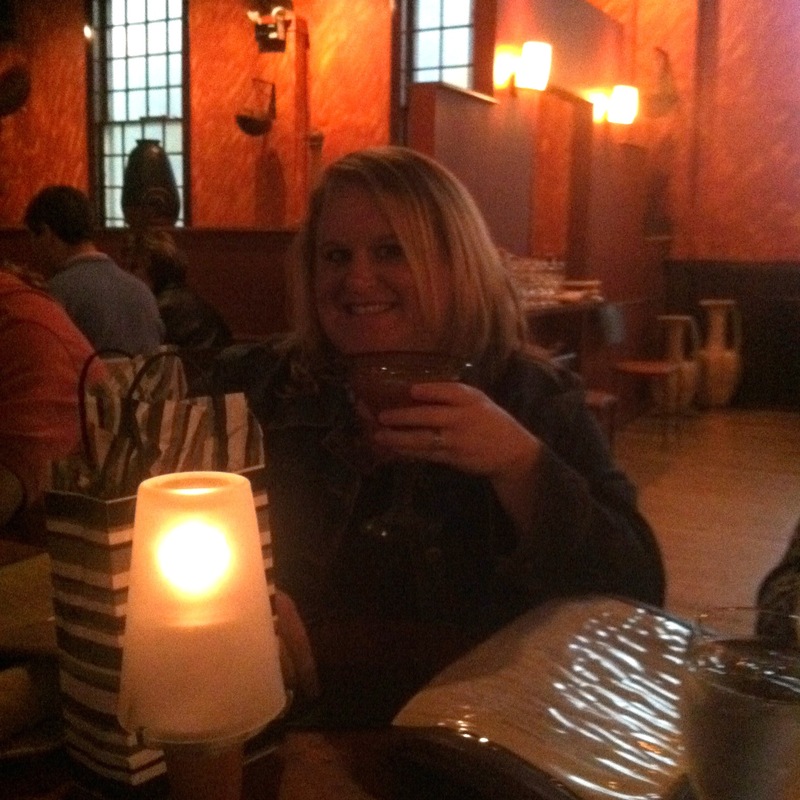 I still stuck out like a sore thumb though at the restaurant. Where I live, simple is key! My mom’s camera changed the colors of the outfit. The dress looks blue, but it is definitely a purple. I wore my belt this way, but I’m not sure how I feel about it. I ended up changing it some by the end of the night (pictured below), and I want to hear your thoughts on it. 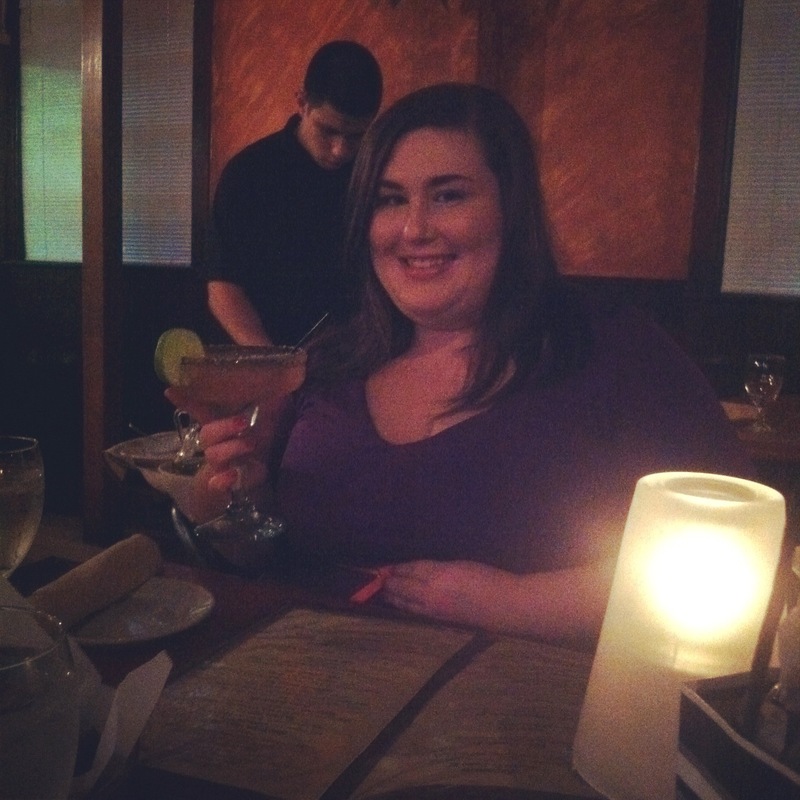 Me and my margarita – yum! 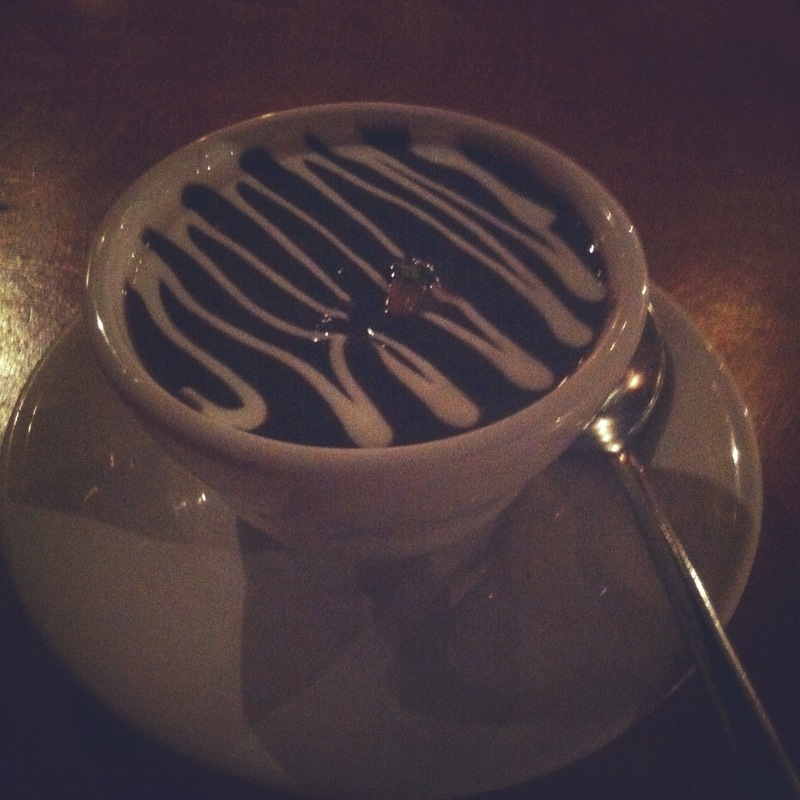 Black bean soup–so, so good! 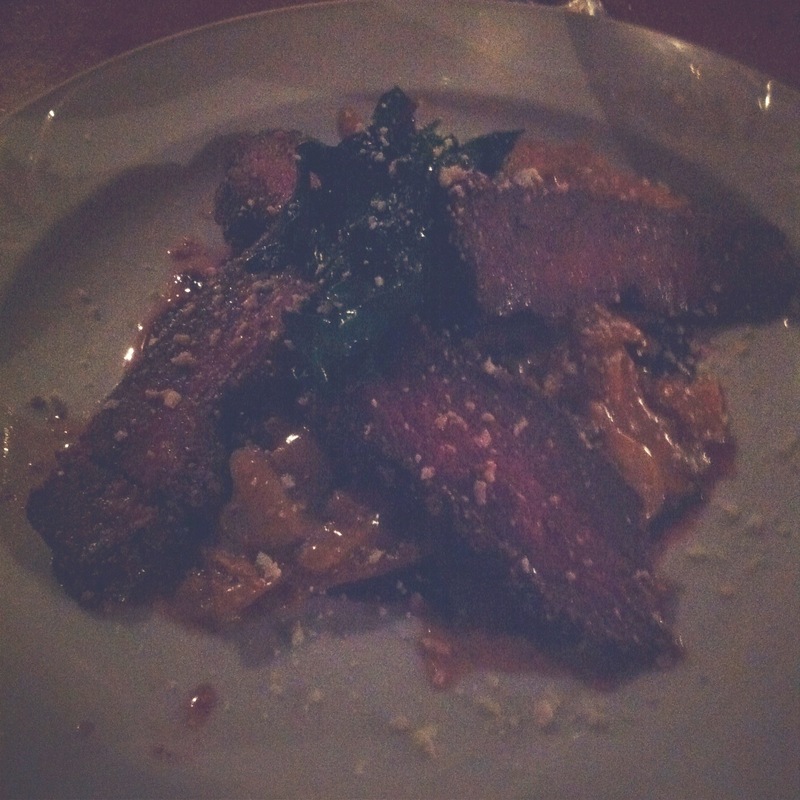 My dinner- Pecan-crusted flat iron steak, black bean coulis, roasted corn puree, red chilaquiles, wilted greens, cotija cheese. Double yum! 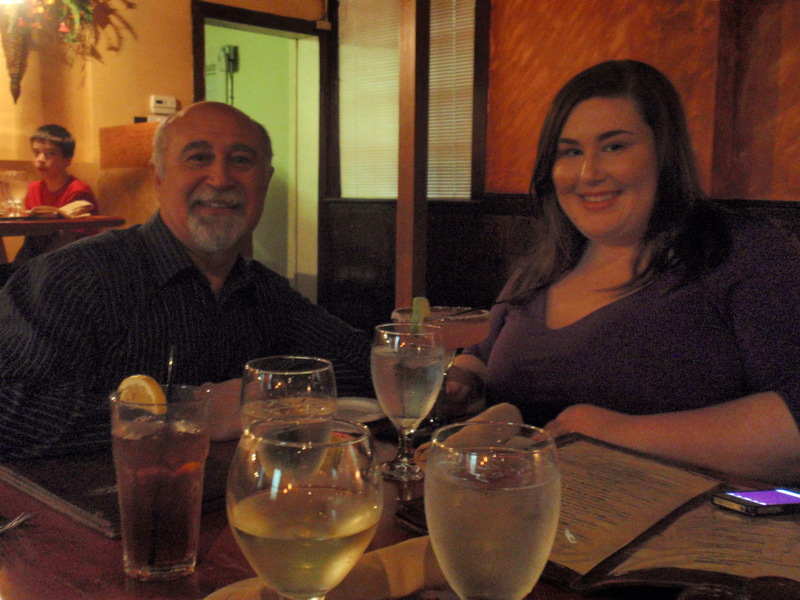 My dad and me– Him celebrating his 62nd and me celebrating my 24th! Do you have a favorite party dress or a typical style you wear to parties? When was the last time you got to wear a party dress? I honestly wish I had more occasions in my life to wear all of my party dresses! The dress is adorable and it looks great on you. You are a very beautiful girl. Happy birthday just in case I can’tt show up on Wednesday. Best wishes. I love this outfit. The coral belt looks great with the dress. Makes me want to go out and get both!! I hope you have a wonderful 24th birthday. I’ll be sure to check out the other girls. Im so jealous of them being able go to that event…Lucky lucky!!! Guh! Gorgeous! I love this dress so much! SO MUCH! I love that dress. I ordered one VERY similar to it last night. I absolutely love purple and unfortunately the purple one was sold out. =/ Oh well. That dress looks fabulous on you! it’s definitely something you can wear for years to come, it’s such a classic cut. I stopped buying party dresses because my city doesn’t have much of a nightlife. I’ll start buying more once I move to an area with more nightlife. I think your dress is fabulous. I like the belt with it and I like the way it is worn in the second picture best. BTW…we share the same birthday but I’m turning 31 not 24. Happy early birthday! That is one amazing dress. Fabulous! This dress is beautiful. The fit is perfect (as is the color!). I really love the thin pink belt. That blue is so pretty on you!!!!! I love this dress on you. I think showing the bust line and the thin belt makes it look a thousand times better.